This recipe is adapted from a Party Line with The Hearty Boys recipe on the Food Network. I love how Wikipedia describes the Hearty Boys as “a Food Network show hosted by real-life gay couple.” My friends Jamey and Phil, similar in reality and set in their fabulous log cabin the North Carolina mountains, adapted this recipe to use ground turkey instead of pork. This substitute makes the recipe super easy as you don’t have to fool with dicing pork tenderloin. I liked this chili because it wasnt as heavy and dense as the average beef chili and has a variety of beans. It was the perfect meal for a cold and wet night in the mountains. The kick of jalapeno on top was exactly what I needed to jump-start my weekend. Make this while it is still chilly out! Pour 4 tablespoons of the oil into a large,stockpot and place over high heat for 2 to 3 minutes. Season the turkey with a dash of salt and pepper and brown it in batches, 3 to 5 minutes per batch. Set aside the browned turkey. Pour the remaining oil into the pot and add the onion, garlic, bell pepper and jalapenos. Season the veggies with the brown sugar, chili powder, cumin, cayenne, salt, pepper and cilantro. Sweat the vegetable mixture over medium heat for 10 minutes, until the onion is soft. Add the turkey back to the pot along with the tomatoes, honey, coffee, bourbon. Add the beans, stir well, bring up to a simmer and then lower the heat to the lowest setting. Let simmer 2 to 3 hours. 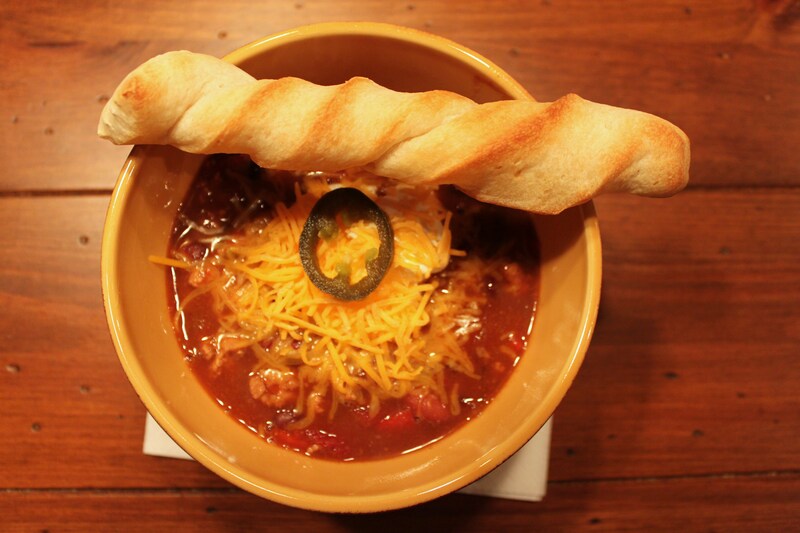 Serve directly from the stovetop with side bowls of sour cream, slice jalapenos, and shredded cheddar. I’m licking my computer screen right now…I’ll be making this come Saturday!